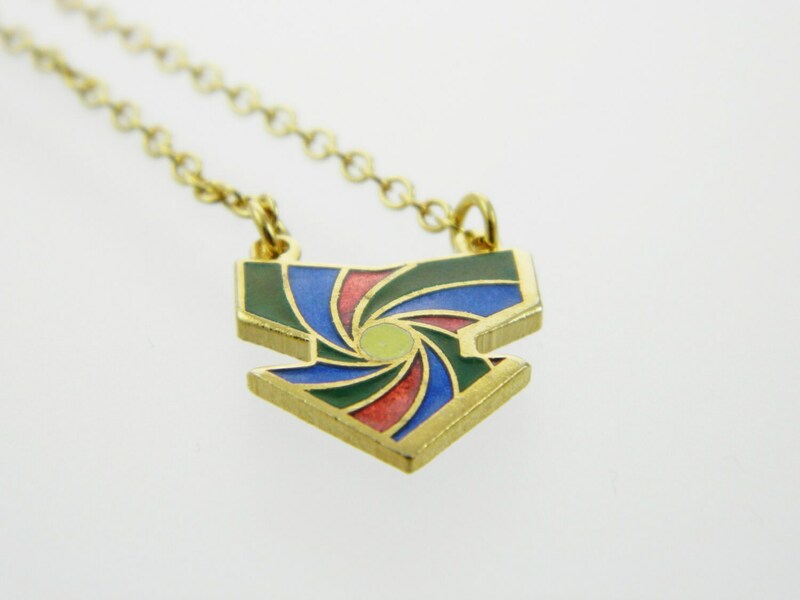 Enameled Arrow on a new 18k gold filled chain. 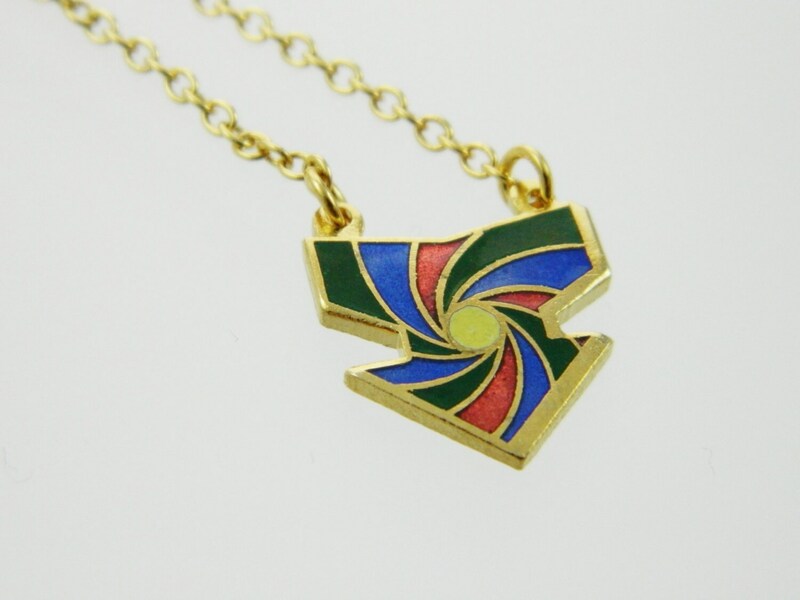 Pendant Dimensions: 18mm H x 15mm W.
Chain: New 18K Gold Filled Rolo Chain. 16” chain length with lobster claw closure.